Burglars continued their spree across our neighborhood this weekend. A couple of residents managed to see the prowlers eye-to-eye. 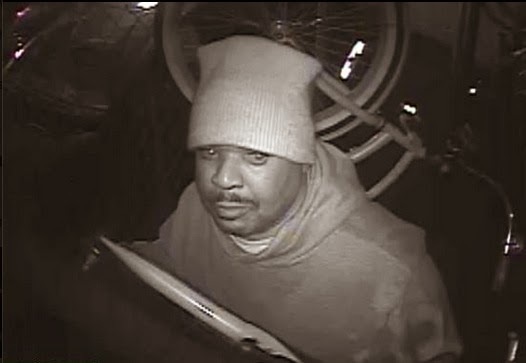 Surveillance photo of a suspect in the April 19 garage burglary. The most brazen incident of the weekend came Friday night when a prowler broke into several cars in the parking garage at 918 Belmont. We say it's brazen because about 12 cars were broken into at the same garage on April 19. Police issued an alert with photos of the April 19 suspect this week. A woman reports that her house has just been burglarized by a man who fled after she encountered him on her property. The suspect is described as a black man, 45 to 55 years old, 5'9" tall, heavyset, wearing thick glasses and a beige fisherman's hat. 1100 block of Addison. A senior citizen said a man driving a red pick-up truck came to her door looking for a parking space. While she showed him to a spot in back, someone else entered her front door and took jewelry from her bedroom. Offenders were described as two Hispanic men in their 20’s. Monday, March 16, at 12:20PM. Police confirm a resident's report that his home had just been burglarized by an unknown offender. Forcible entry burglary is discovered at the Silver Smoke cape shop, 614 Belmont.